To ensure the continued protection and recovery of the Endangered maleo bird and other imperiled wildlife, particularly sea turtles and fruit bats, in the Tompotika area of Sulawesi. A new initiative includes an outreach program for the anoa and babirusa, two of Sulawesi’s most threatened mammals. The Tompotika area, where our efforts are focused, represents a centre of endemism within the global "biodiversity hotspot" that is Sulawesi. Recent surveys have identified at least 9 new animal species known only from this area. Tompotika boasts an excellent representation of Sulawesi's characteristic natural habitats, including montane moist forests, savannah, wetlands, mangroves, sandy beaches, coral reefs, and seagrass beds. Importantly, this project has resulted in the only known population of the Endangered maleo bird that is increasing. 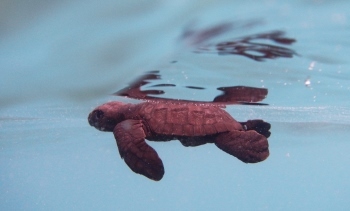 Both maleos and sea turtles have faced population declines primarily from rampant harvesting of their eggs by local people. Bat populations, which play a vital role in maintaining the health of Tompotika's native forests, and foerst-dwelling anoas and barbirusas have also plummeted under heavy hunting pressure fueled by the demand of expanding bushmeat markets in North Sulawesi. Tompotika's native forests face numerous threats, including illegal logging, conversion for oil palm plantations, slash and burn agriculture, and mining. We are implementing effective counter-measures. Patrolling of maleo and sea turtle nesting beaches by local conservation staff and villagers has almost completely eliminated poaching. Over 7000 maleo eggs have been saved, and the number of adult maleos returning to nest in the area has more than tripled. The area's key bat roosting site has been officially declared a protected area. 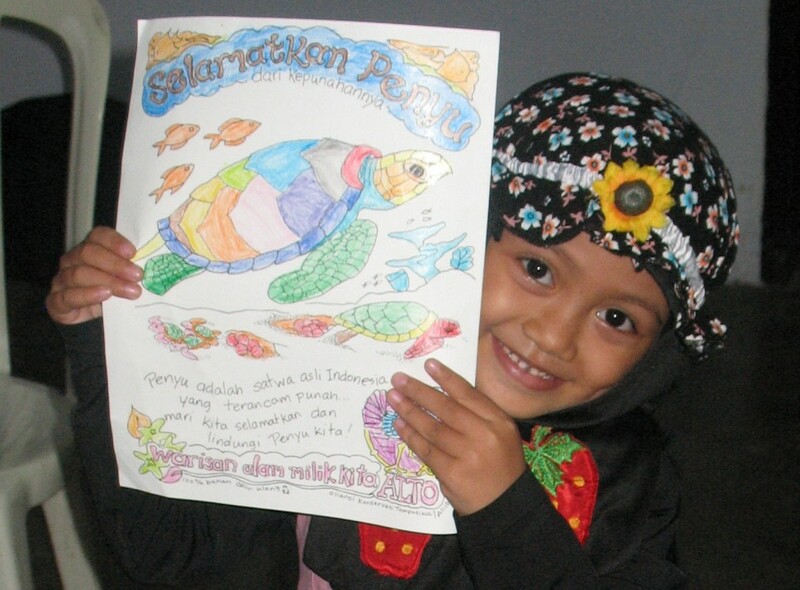 Community education is building pride in the protection of iconic wildlife species. The maleo (Macrocephalon maleo) is a large Megapode that nests communally, burying its large (250 g) eggs in open sandy areas where they are incubated by solar and/or geothermal heat over a 2-3 month period. The young take up to 2 days to tunnel to the surface after hatching, and emerge ready to fly. English naturalist Alfred Russel Wallace collected maleo eggs when visiting the area in 1859. Our partner for this project is the Alliance for Tompotika Conservation (AlTo), which is a registered non-profit organization in Indonesia and the USA. The key personnel for this program are AlTo Director Marcy Summers along with AlTo Conservation Officers and villagers. The Tompotika area, where our efforts are focused, is a peninsula of about 2500 km2 at the easternmost tip of Sulawesi's central arm. Tompotika represents a centre of endemism within the global "biodiversity hotspot" that is Sulawesi; recent surveys have identified at least 9 new animal species known only from this area. Tompotika boasts an excellent representation of Sulawesi's characteristic natural habitats, including montane moist forests, savannah, wetlands, mangroves, sandy beaches, coral reefs, and seagrass beds. Tompotika is a stronghold for the Endangered maleo, a megapode bird endemic to Sulawesi and the Buton Island located off Sulawesi's southeast peninsula. One of the most evolutionary distinct birds, believed to have diverged from other species approximately 30 million years ago, the maleo was once a common feature of Sulawesi's wildlife assemblage: English naturalist Alfred Russel Wallace, writing in the 1850s, described Sulawesi beaches as being "black with maleos." The unique characteristics of the maleo's life history have made it one of Sulawesi's most endangered species. 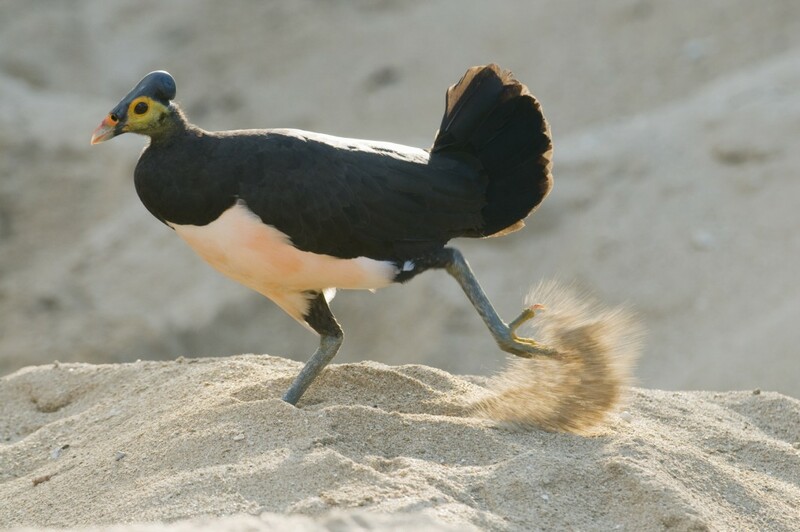 The maleo lays its enormous eggs in pits in communal nesting grounds which are highly vulnerable to local egg hunters. Unsustainable harvesting of eggs combined with human disturbance of the maleo's nesting grounds and progressive loss of its non-breeding rainforest habitat have caused global maleo numbers to drop by a whopping 90% in the last 60 years. Compared to its neighbours, for example Borneo and Sumatra, which both host charismatic megafauna like orangutans, tigers, and elephants, Sulawesi gets very little research or conservation attention, but the minute you look closely you realize it's a conservation treasure, with nearly half its vertebrate species endemic. Tompotika is also an important nesting area for three species of sea turtles - green, hawksbill, and olive ridley - all of which have likewise been severely affected by the rampant harvesting of their eggs by local people, despite being designated as "fully protected" under Indonesian law since 1990. Until recently, nearly every sea turtle nest that people could discover in Tompotika was dug up, and the eggs were taken for consumption or sale. This caused a relentless decline in the number of turtles returning to nest. Similarly, maleo eggs, while generally not needed for subsistence in Tompotika, were routinely poached here for sale as a luxury item, notwithstanding the species' protected status under Indonesian law since as early as 1972. Sulawesi features an exceptional array of bats - over 70 species, which make up more than half of the entire number of mammals native to the island. Many of Sulawesi's bats are found nowhere else on earth. 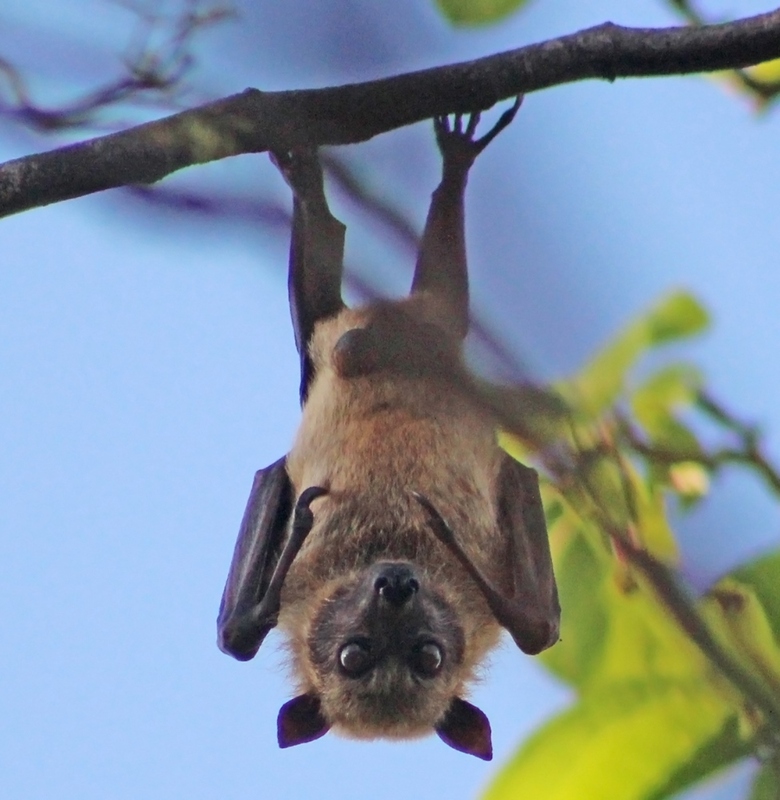 While being considerably smaller in land area than Borneo, Sumatra, or New Guinea, Sulawesi boasts a greater diversity of old-world fruit bats (Pteropodidae). It also hosts the greatest number of cave-dwelling fruit bat species found anywhere in the world. The Tompotika region, rich with karst cave formations providing roosting habitat for various bats, is a hotspot of bat diversity within Sulawesi. 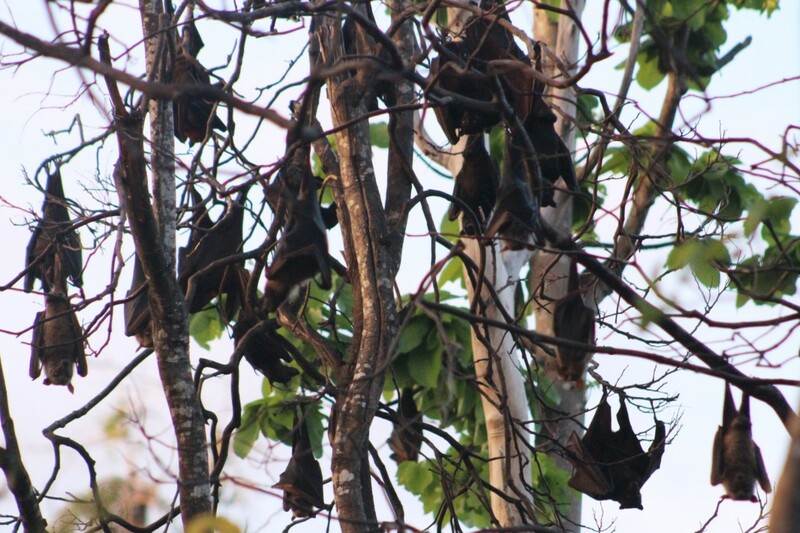 Fruit bats play a critical role in maintaining the health of Tompotika's native tropical forests by pollinating trees, spreading seeds that help forests regrow, and by providing high-quality fertilizer. Many tropical fruit and nut trees, such as mango, cashew, wild banana, avocado, and durian, to name but a few, rely on bats for pollination to produce fruit. In addition, insectivorous bats control populations of insect pests, such as the mosquitos that spread malaria or the grasshoppers that destroy rice crops. Although bats are not commonly consumed in Tompotika, the recent emergence of commercial bat hunting, driven by increasing demand for bushmeat in North Sulawesi, has very rapidly led to dramatic bat population declines and the complete decimation of many colonies across Tompotika. Recovery is difficult, as mother bats produce only one young per year. The Alliance for Tompotika Conservation (AlTo) relies on local staff and local villagers to carry out a broad array of conservation activities in the area. Founded in 2006 at the request of Tompotikans, AlTo aims to "go deep, and do it right" for conservation in one small but very special place at the heart of the earth's biodiversity epicentre. 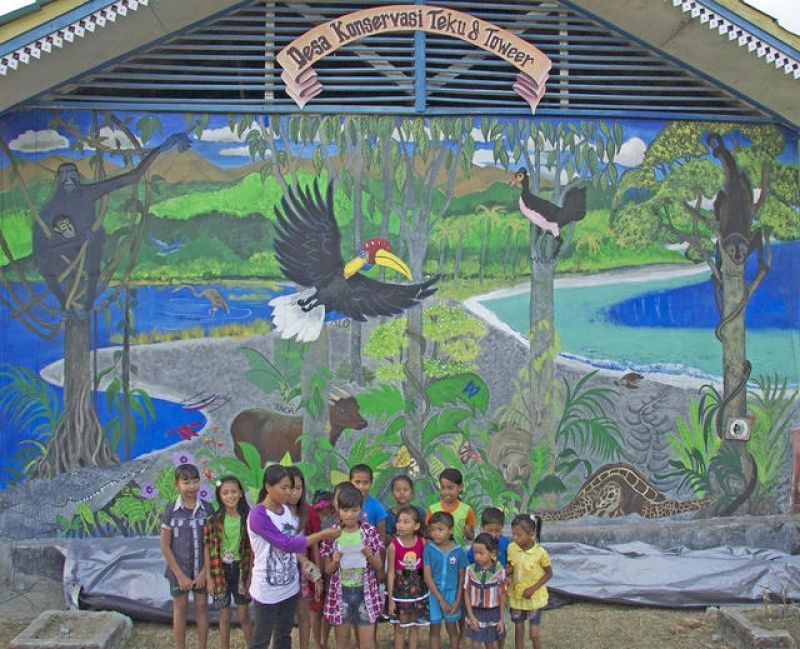 Over the first decade of its existence, AlTo has grown to support 10 full-time staff, who lead efforts to protect endangered species and tropical rainforests, and develop conservation awareness and law enforcement outreach programs, including an ongoing school-based campaign and the annual Tompotika International Maleo and Sea Turtle Festival. In a short time, AlTo has reversed the decline of the maleo, prevented poaching of thousands of sea turtle adults and eggs, established a new forest preserve, and made great strides in bat conservation. AlTo also works with communities to maximize the economic and social benefits that accompany conservation efforts. 1 Wilson, K.A., M.F. McBride, M. Bode, and H.P. Possingham. 2006. Prioritizing global conservation efforts. Nature 440: 337-340. Guard teams comprising AlTo staff and local villagers have been patrolling the maleo's communal nesting ground near the village of Taima round the clock to prevent egg collecting and other human-caused disturbances such as logging or livestock pasturing. 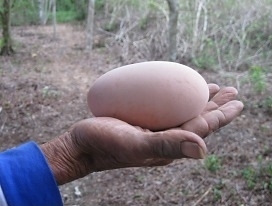 These efforts have saved thousands of eggs and almost completely eliminated poaching. 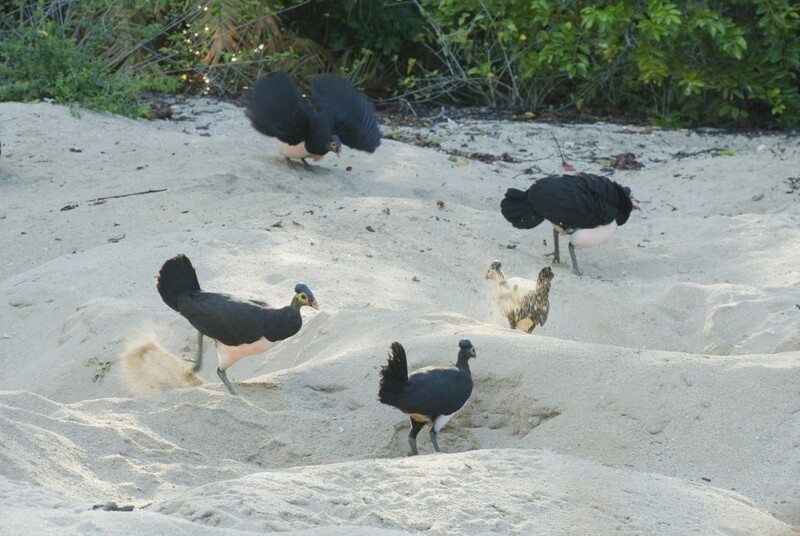 The Taima nesting ground has become the only site in the world where the maleo population is on the rise: the number of adult maleos returning to nest here has increased from 1312 in 2006 to over 4000 at present. This clearly represents a significant proportion of the global maleo population, estimated at 8,000-14,000 mature birds. AlTo's Taima site now host far more maleos than any other maleo nesting ground throughout the species range. It is the only one where large numbers of eggs are protected in their natural state and chicks disperse without hatchery intervention. Recognizing the importance of AlTo's maleo protection efforts at Taima, in 2014 the Indonesian government officially declared the Taima nesting ground an "essential ecosystem" (this designation has only been awarded to 7 sites nationwide). This will strengthen formal protection for maleos. In 2014, we began protecting a recently discovered nesting site (Kaumosongi; near Teku/Toweer villages) that is connected to the Taima site by an 18-km stretch of intact forest that represents non-breeding habitat for the maleo. AlTo works with villagers and government to preserve forest adjacent each nesting ground and between them and to address the human-related threats within this corridor (e.g., hunting with dogs). This complex of nesting grounds and high-quality non-breeding habitat represents the first maleo "stronghold" ever effectively protected. Our work involves patrolling two of the Tompotika region's key turtle nesting areas (the beaches surrounding Teku/Toweer and Taima villages) during nesting season, coupled with relocating nests that cannot be adequately protected from poachers to safe places where AlTo assists villagers in guarding them until hatching. We also work to reduce trash on the beach (which impedes turtle nesting) and seek to release captured sea turtles. The Teku/Toweer area has seen especially good results, with growing villager participation, greatly reduced poaching rates, and a continual increase in the number of successful hatchlings, which quadrupled from 510 in 2011 to well over 2000 in 2014. Informal surveys carried out by AlTo staff indicate that the number of turtles captured and held illegally in back yards has dramatically decreased. AlTo has provided key leadership for bat conservation in the area, in response to increasing threats from hunting and a lack of government protection. A bat survey carried out by AlTo staff with the assistance of an Indonesian bat scientist located colonies and found at least 17 different species, including two rare species that have yet to be identified. In 2013, AlTo reached a landmark bat protection agreement with Taima residents — a multi-landowner conservation lease of Tangkuladi, a bat roost island. Signed for two years, the agreement has now been renewed for five years with enthusiastic support from landowners. The island that had, due to the relentless hunting, been completely abandoned by bats is now once again harboring many thousands of bats. Further, the regional government, informed by AlTo of Tangkuladi's critical role critical role in providing a resting place for forest bats (as well as nesting sea turtles), officially declared the island a protected area in 2014, adding an important layer of legal protection. Point of interest: one of the most notorious bat hunters in the area has been "converted" into a bat advocate, and is now working for AlTo in patrolling, data collection and bat awareness activities in schools. Our partner NGO is focused on the Tompotika Forest Preserve, a 10,000-hectare protected rainforest area surrounding Mount Tompotika, at the heart of the Tompotika peninsula. 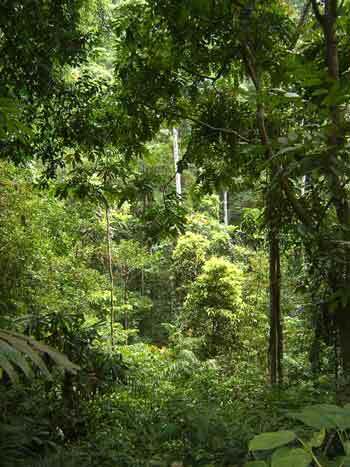 This aim is to protect this area from mining, illegal logging, conversion for oil palm plantations, slash and burn agriculture, and other threats, while working with local people to encourage forest-friendly lifestyles and livelihoods, such as organic farming and wild silk-moth rearing, in areas adjacent to the Preserve. 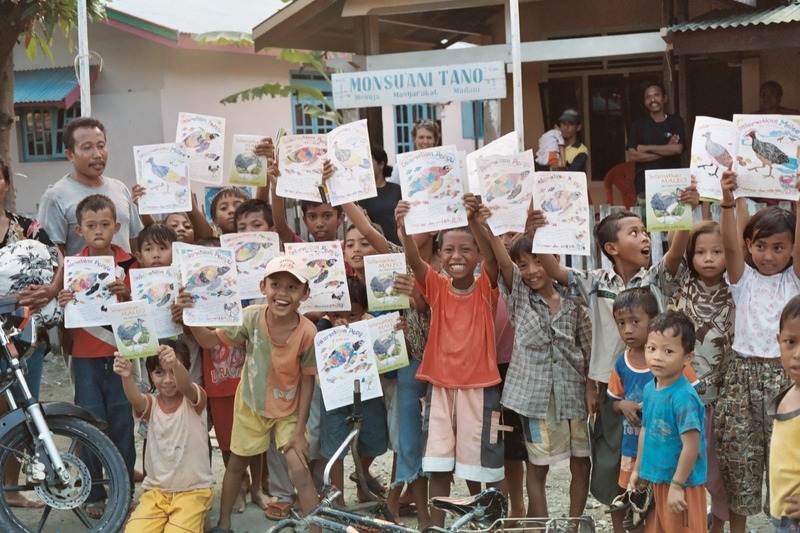 Interactive conservation education programs reach about 1500 school children each month. Focusing on one topic at a time, the programs include presentations, games, printed materials, and take-home items. Thanks to these efforts, most of Tompotika's 20,000+ school children have now had at least an introduction to local conservation issues. AlTo staff meet regularly with village leaders and community members to raise awareness about local and regional environmental issues and our efforts to address them. 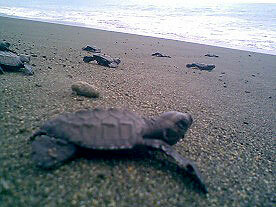 Several successful village-wide events have been organized, including beach cleanups to remove turtle nesting hazards. AlTo staff create posters, brochures, and other conservation materials, and distribute them in public places throughout Tompotika. At high-profile locations such as the Luwuk airport, AlTo also installs billboards that urge protection of maleos and discourage the purchase of maleo eggs as high-status souvenirs. This is working! In one instance, a high-status lady voluntarily sought out the AlTo office in Luwuk wishing to turn over four maleo eggs that she had received as a gift. There are also signs that enforcement is being taken more seriously: 2014 marked the first time that authorities confiscated maleo eggs from a passenger attempting to smuggle them out of the Luwuk airport. AlTo sponsors regular programs to promote conservation through the arts, often with the help of international volunteers. 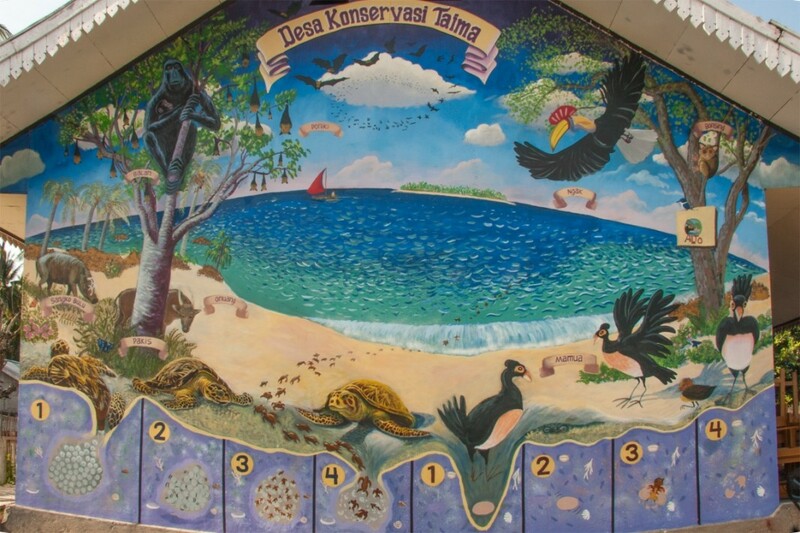 Past projects have included murals (see below), youth wildlife art, and a youth drama "road show". The first International Maleo and Sea Turtle Festival was held in 2014 at six locations across Tompotika, including villages beyond those where AlTo has field conservation programs, but where poaching and demand for eggs remain high. The program consisted of daytime booths, stands, and scheduled activities followed by an evening of drama and entertainment. Everything was free, and shared the conservation theme, using maleo birds and sea turtles as ambassadors for all the other native creatures that share their lands and waters. In some places over a thousand kids and adults showed up to take part. In 2012 AlTo began collaborating with the Central Sulawesi Natural Resources Conservation Agency (including officials from the police, Justice, Forestry, Fisheries, the military, village and district heads, and more) in order to identify and overcome the barriers to effective wildlife law enforcement in Tompotika. AlTo has produced special educational materials for law enforcement personnel, starting with a "pocket guide to wildlife laws." AlTo carried out workshops bringing personnel from various jurisdictions and regions together with a view to create a "peer network" of law enforcement officials who are meeting periodically to plan strategies, develop procedures, and support one another in implementing tougher enforcement of wildlife laws in the region. The workshops are reinforced by individual visits with participants, resulting in valuable feedback on the program outcomes.